Crock Pot recipes are loved by many because of how easy they are to make and this recipe is no exception. 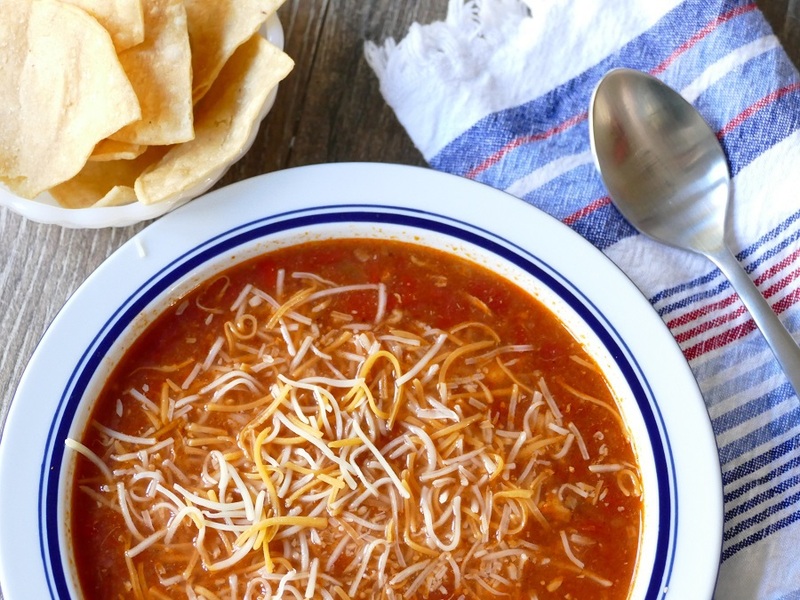 Simply toss the ingredients in for this easy and healthy Crock Pot chicken tortilla soup and forget about it until dinner time. 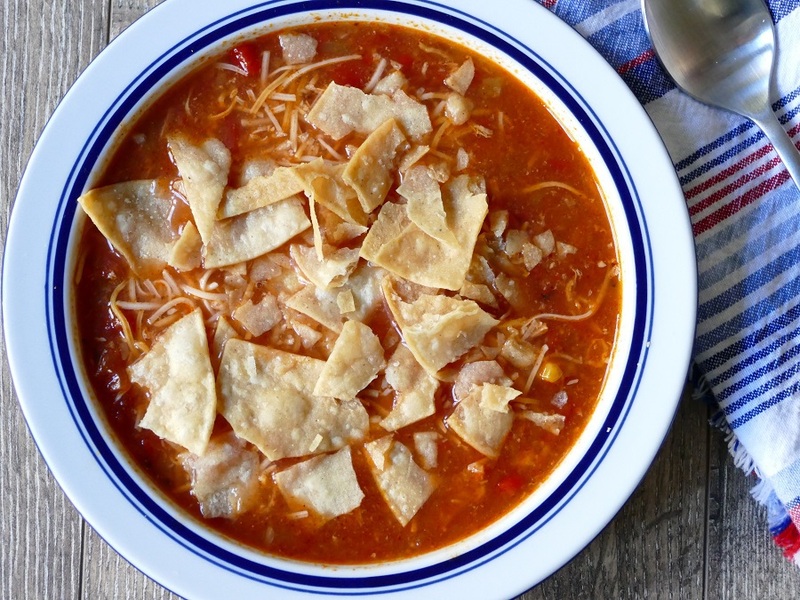 This Crock Pot chicken tortilla soup recipe is loaded with flavor and vegetables that everyone will love. The leftovers can easily be frozen in freezer bags for easy meal planning, too. Toss this easy Crock Pot chicken tortilla soup in the slow cooker for an easy meal any night of the week. It easily converts to a ketogenic recipe for a low carb diet, too! Finding easy recipes is so helpful for those busy weeknights filled with work and activities. 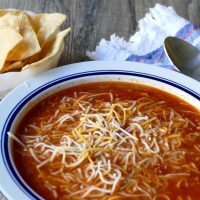 This Crock Pot chicken tortilla soup recipe is so easy and easily makes a low carb or ketogenic diet meal when you eliminate the chips or the cheese. This low carb slow cooker chicken tortilla soup is loaded with flavor and everyone in the family loves it, too! Coat the edge of your crock pot or slow cooker with cooking spray. 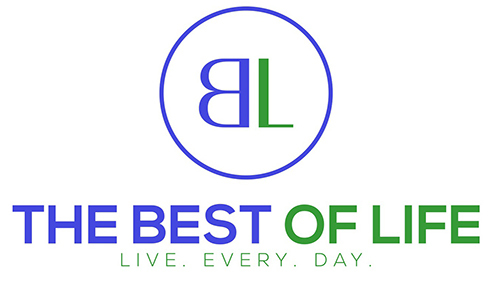 Place the olive oil, spices, tomatoes, chicken stock, thawed chicken, and green chilies in a 6-quart crock pot or slow cooker. After six hours, stir the soup and add the corn and red bell peppers. Cut up the chicken with kitchen scissors so it is shredded or cubed for the soup. 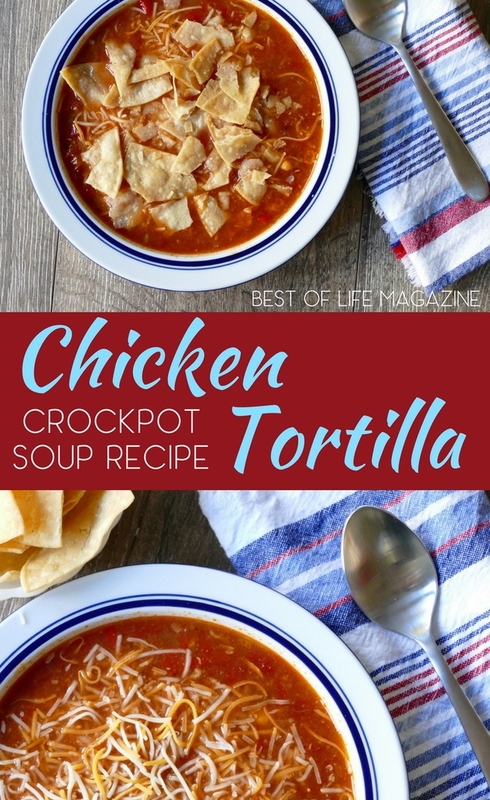 Place the lid on and cook the Crock Pot chicken tortilla soup for an additional hour. 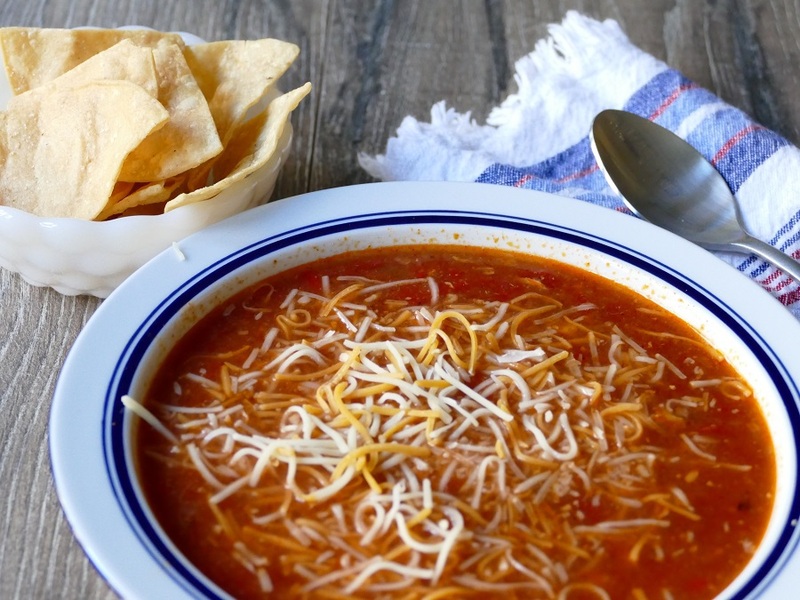 Top each bowl of soup with shredded cheese before serving and garnish with tortilla chips. Cheers and we hope you enjoy this deliciously easy Crock Pot chicken tortilla soup as much as we do!